The IKO Poland Summer Camp was held from August 17 to 20, 2017 in Lublin, organized by IKO Poland Branch Chief Shihan Jacek Czerniec, under the leadership of Shihan Katsuhito Gorai, and assisted by Senpai Tariel Nikoleishvili from Russia. Approximately 280 participants from 13 countries including Poland, UK, Germany, Russia, Lithuania, Hungary, Algeria, Tunisia, Slovakia, Austria, Ukraine, Belarus, and Holland, enjoyed the camp. Participants practiced all parts karate training: Kihon, Ido Geiko, Kata & Bunkai as well Kumite. 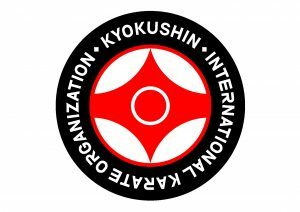 An IKO Officiating Course was held focusing on the new rules for kumite competition. The camp concluded with a Dan and Kyu test and one hour kumite session. No Replies to "Poland Summer Camp"